Echo Wall Clock Only $29.99 Shipped! How cool is this? I use timers all of the time for my kiddos, now they can see it on this clock! Amazon has the Echo Wall Clock for only $29.99 Shipped! 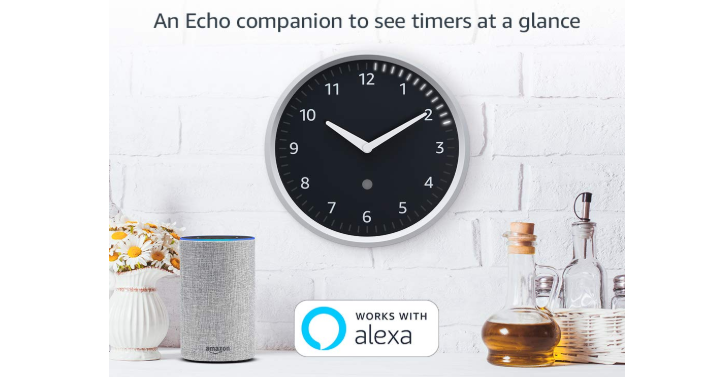 It’s super easy to use, just say, “Alexa, set a 12-minute timer,” and see it count down at a glance on Echo Wall Clock. Keep in mind, Amazon pricing can change at any time! Don’t wait to purchase this deal or it might be gone when you come back!